The role of the supply chain manager in the retail industry is to make sure that products are available and in the right place at the right time. 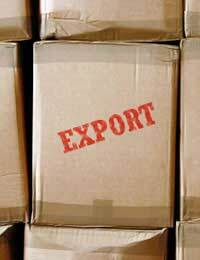 It includes planning and organising for the transfer of goods from manufacturers through to customers. This could involve aspects of sourcing products, purchasing, logistics, transportation, warehousing and storage and distribution. You’ll be working in conjunction with several other departments and depending upon the size and structure of your company, your role might include certain tasks which, in other companies, might be the responsibility of other people. In fact, the role of the supply chain manager might sometimes fall under the title of logistics manager or distribution manager so it’s important to recognise that if you are looking for such a role using search engines online. Firstly, to be a successful supply chain manager, it’s important that you have a thorough understanding of the whole process right through from supplier to customer. Both numeracy and computing skills will be important as will the ability to work under pressure and often to deadlines. As a lot of the supply chain activity occurs at night, it may well be that you’ll also be required to work nights occasionally. You should have solid planning and organisational skills as well as being able to communicate with people of all levels both within and outside of your company. If you’re looking to enter a company’s graduate training programme in Supply Chain Management, the most relevant foundation degrees are in logistics, transport management, geography, international transport and supply chain management itself. Other ways of progressing include working your way up from being, say, a transport clerk and gaining more on the job responsibility through supervisory roles. There are also NVQs you can study in Distribution, Warehousing and Storage Operations to level 3 and Integrated Logistics Support to level 4. To progress towards becoming a supply chain manager through a company’s graduate recruitment program can take anything between a few months and a couple of years. Obviously, the higher your qualifications, the quicker you’ll advance in your career. There is also the Chartered Institute of Logistics and Transport (CILT UK) where you can find out more about advanced diplomas in transport and logistics. You can expect to earn around £18,000 to £25,000 when you’re starting out in Supply Chain Management but this can rise up to £35,000 and sometimes beyond within the short space of three years.